Andrew Miller in 2012: 51 strikeouts with a 1.19 ERA and a 3.35 ERA. Allen Webster and Rubby de la Rosa: Both were apart of the Red Sox big trade with the Los Angeles Dodgers and are solid pitching prospects who could be brought up. Any one of the free agent options listed above would provide the Red Sox with a proven starter in the 5th spot, and depending on which one the Sox landed could even be a solid 4th spot guy with Lackey moving to the 5th spot. 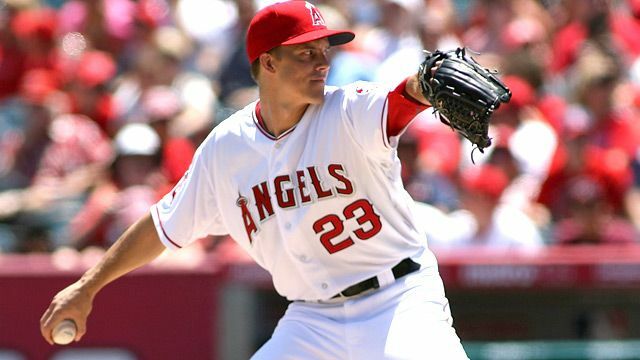 If the sox went after Greinke, he could even be a 2 or 3 guy for Boston. However most of those guys would expect a top dollar deal (especially Greinke being a top free agent pitcher) and Boston may not want to spend the money they freed up in the Dodgers deal. 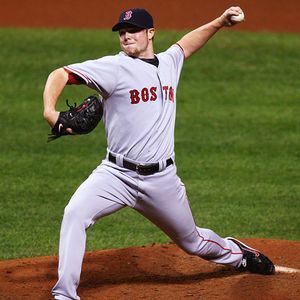 How do you think the Red Sox should approach the pitching rotation? Should they solve it internally or should they spend some cash on the best arm available? Leave a comment in the box below. This entry was posted in Red Sox and tagged aaron cook, alfredo aceves, Allen Webster, andrew miller, Anibal Sanchez, boston red sox, clay buchholz, Dan Haren, daniel bard, edwin jackson, Ervin Santana, Felix Doubront, free agency, Jake Peavy, John Lackey, jon lester, Junichi Tazawa, Kyle Lohse, Rubby de la Rosa, Zack Greinke by tsmithbsb29. Bookmark the permalink.